In February, the latest Homelessness Monitor was published by the Joseph Rowntree Foundation (JRF) and the homelessness charity Crisis. Official estimates of rough sleeper numbers in England in 2013 were reported to have reached 2,414, a 37% rise since 2010. But the authors suggested that the true figure could be at least four times that number because of a category of homeless people who rarely make it into the official statistics. 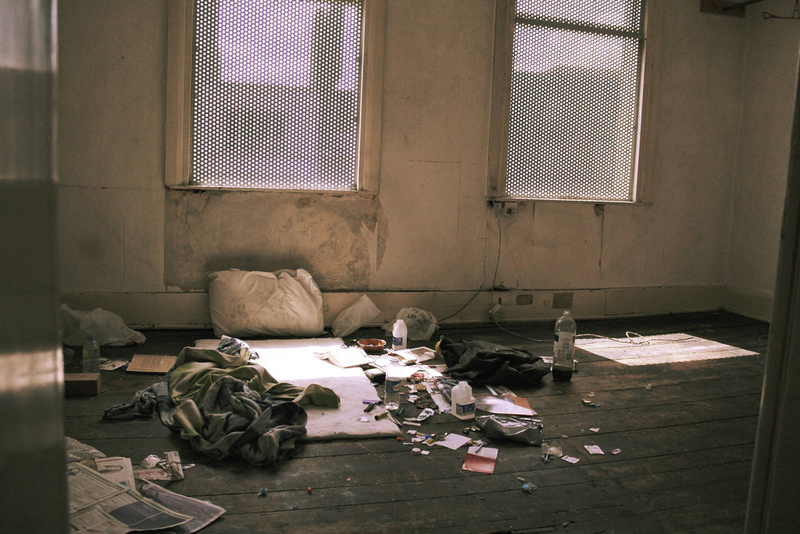 These are the ‘hidden homeless’: people living in bed-and-breakfasts, in overcrowded squats, and hostels, on the floors and sofas of friends and family, and sometimes sleeping rough in the unlikeliest of locations. Often, they fall short of getting help from their local authority because they have been assessed as intentionally homeless, or they are not considered as priorities. The problem is not a new one. But the Homelessness Monitor also indicated that today’s hidden homeless includes higher numbers of families, single and separated people, women and young people. Any one of us could find ourselves in this position. It might take a breakdown in mental health, or the sudden impact of a job loss, a broken relationship, a rise in rent. In addition, changes to government housing benefit rules have meant people under-occupying accommodation are seeking smaller homes, substantially reducing the availability of one-bedroom social rented accommodation for single homeless people. In 2012, a Department for Communities and Local Government evidence review of the costs of homelessness in England had difficulty in pinning down a definitive account of the financial costs to the government, or the opportunity costs to the rest of society. However, it did highlight the £345m spent by English local authorities on homelessness in 2010-11. Even though the hidden homeless may not be appearing on official figures, local councils are still providing tens of thousands of people with related support services, such as debt advice and family mediation. The human costs of hidden homelessness are easier to identify. A ComRes poll last year found that one in five UK 16-25 year-olds had to stay with friends or extended family on floors or sofas in the previous twelve months because they had nowhere else to go. Some were made homeless after they were evicted, others because of family relationship breakdown, and one in ten was forced to leave home due to domestic violence. Their chances of finding work, or sustaining their education will be greatly reduced. Tackling the problem of hidden homelessness goes to the heart of a wider issue: the shortage of affordable housing. But it also means addressing the difficulties that can drive people from their homes. However, the problem also needs resources, and although there are government initiatives and support services to tackle homelessness among vulnerable people, housing campaigners believe more should be done. Meanwhile, the voices of the hidden homeless, such as the one which opened this blog post are still struggling to be heard. The Idox Information Service can give you access to a wealth of further information on housing policy issues. To find out more on how to become a member, contact us.